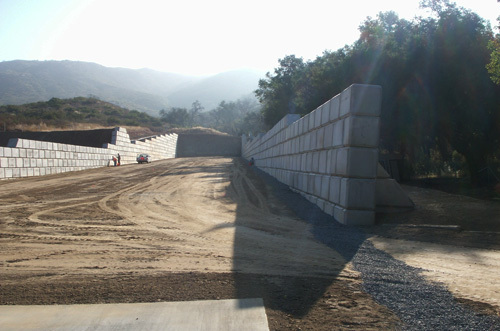 Use our large concrete blocks for gravity retaining walls. 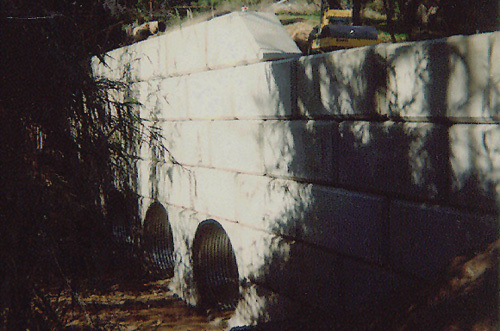 Our system focuses on value engineering, delivering faster installation and less slope embedment. 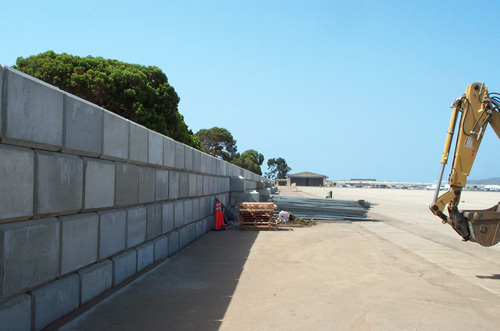 Our large concrete blocks form excellent barriers and security walls, due to there large mass. 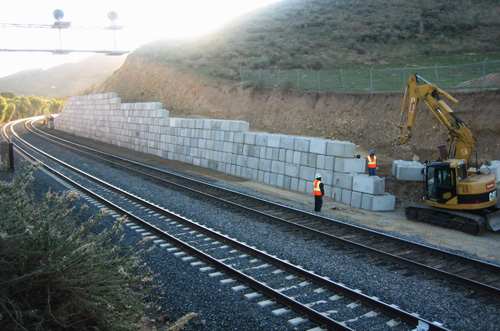 Use our large concrete blocks to build proven, reliable railroad walls for live loads close to the track. 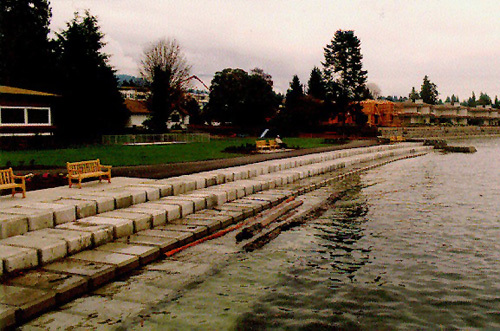 Use our large concrete blocks to support tents and temporary event structures. 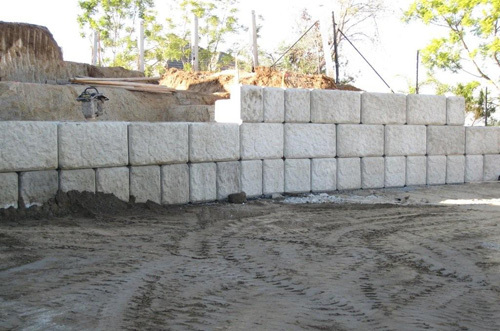 Use our large concrete blocks to create modular, imaginative structures, saving money over traditional methods. 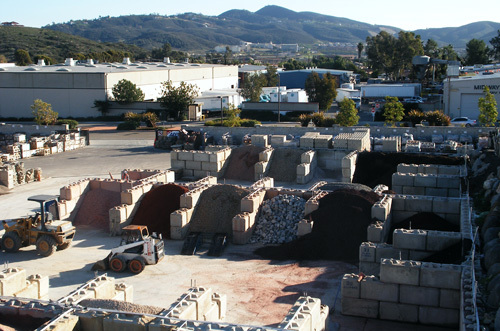 Use our large concrete blocks to create versatile material containment bins, featuring quick, easy installation at a cost value. 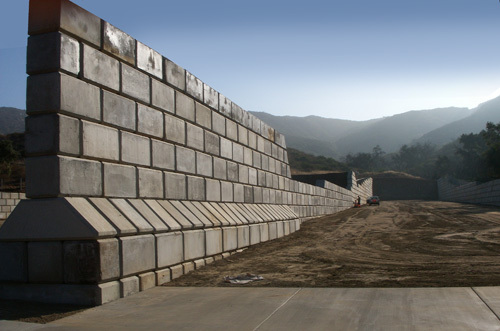 Our large concrete blocks create excellent flood control walls, since they are interlocking precast units which don't require mortar. 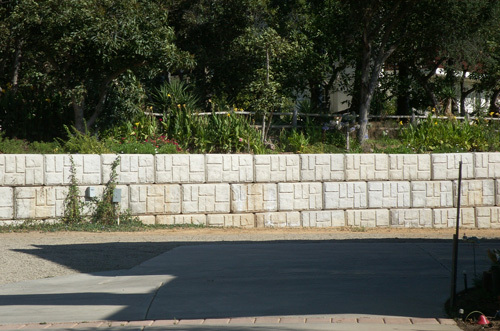 Use our large concrete blocks for emergency diversion barriers, featuring quick, easy installation. 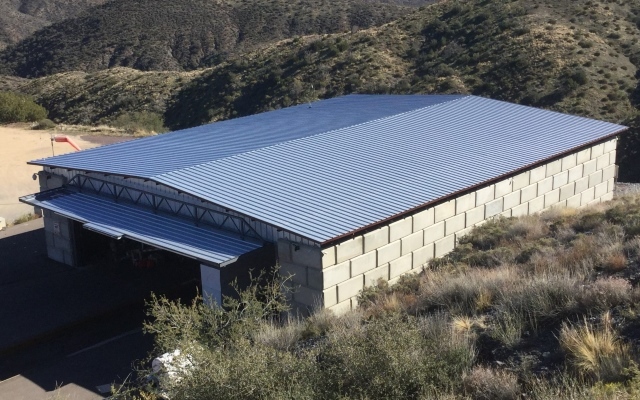 Download our large concrete block brochure. 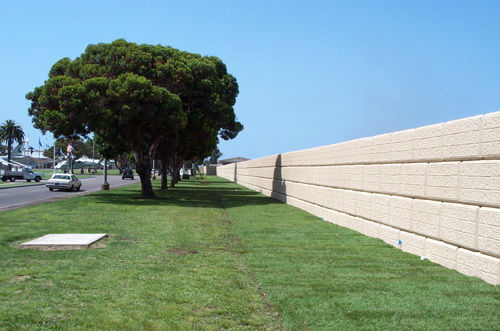 Enviro-Block™ applications include; retaining walls, seawalls, headwalls, security walls, Explosion Ordinance Disposal (EOD) walls, Foreign Object Debris (FOD) Walls, force protection walls, shooting ranges, trench warfare and urban simulation training type facilities. 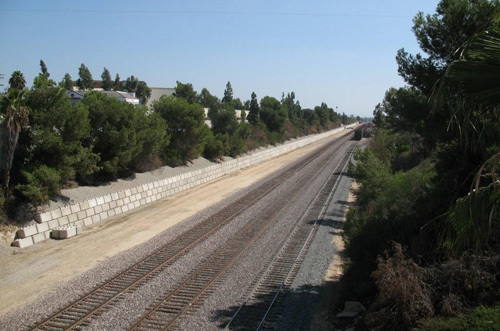 railroad walls, flood control structures, storm damage mitigation repairs, sound walls, material containment bins, bunker bins, bunker walls, deadmen anchor weights and ballast weights. 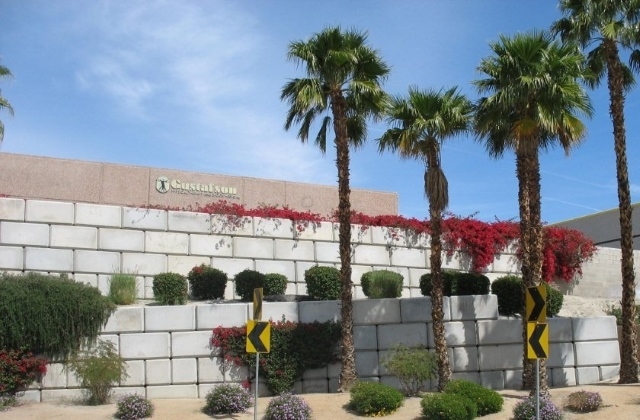 inter-Block Retaining Systems Inc. is the licensed manufacturer of the Enviro-Block™, a two ton (4,000lbs) inter-locking, stackable pre-cast concrete block. 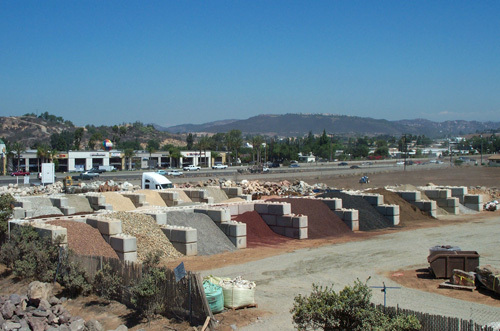 Enviro-Block™ is perfect for both permanent and temporary applications. The installation of this system is very fast and requires a very short learning curve with a small ground crew and a machine operator. 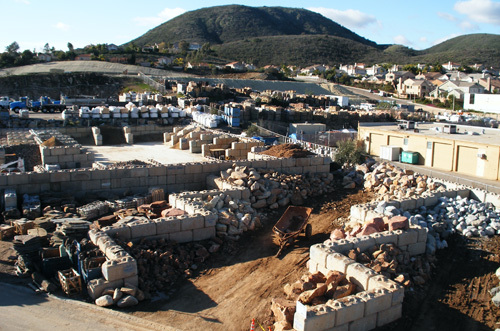 We are a complete turnkey solution provider from concept to completion, providing engineering /design and a certified Enviro-Block™ licensed installation contractor. No job too small or too large. 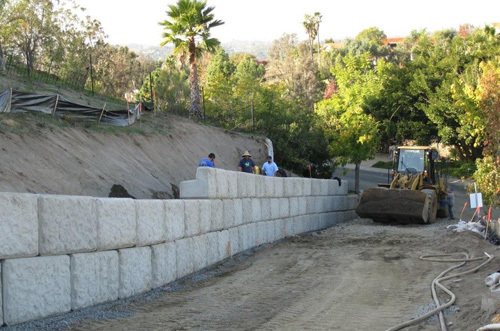 For your next earth retention, flood control, security or any other large concrete block retaining wall project, contact us for a free preliminary analysis. 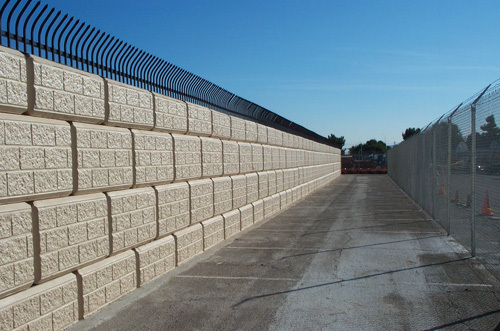 Our expertise is unsurpassed as our knowledge in large concrete block gravity wall projects is unmatched. 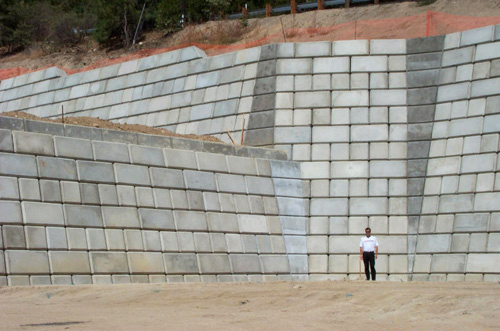 Segmental retaining walls are modular block retaining walls used for vertical grade change applications. 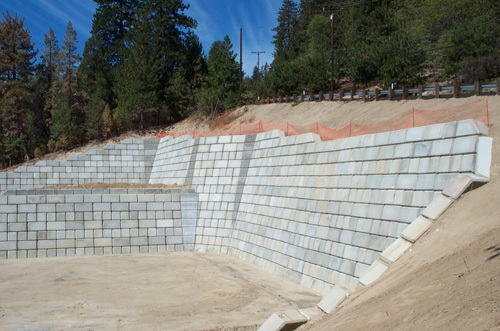 Our segmental retaining walls are generally designed and constructed as gravity retaining walls (conventional). 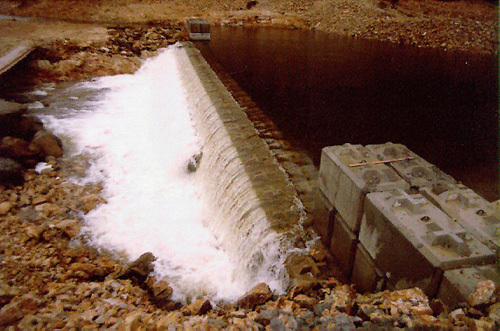 The system consists of dry-cast concrete blocks that are placed without mortar (dry stacked) and rely on their keyed interface and mass to resist overturning and sliding. 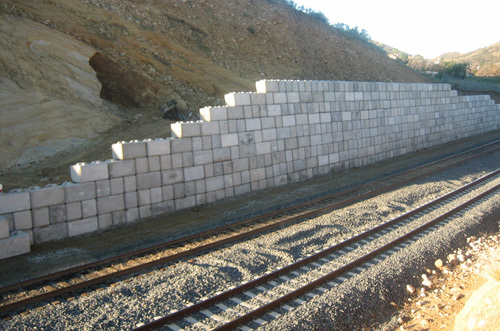 Block to block interfaces include friction, shear elements, and interlock. 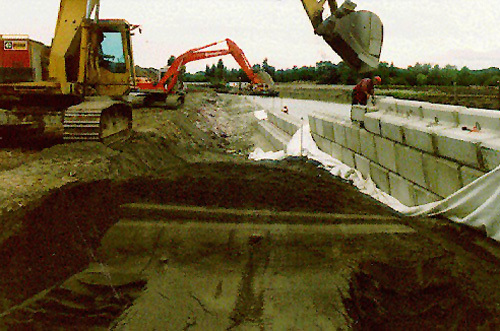 The systems may also employ soil reinforcement that extends into the backfill and allows for the construction of walls with significant height (e.g. 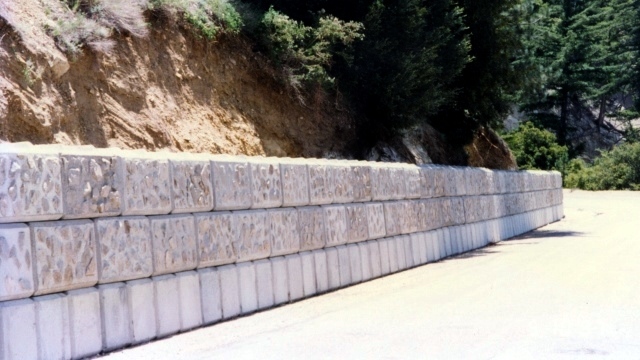 in excess of 50 ft (15.24 m)) that could not be accomplished with the blocks alone. 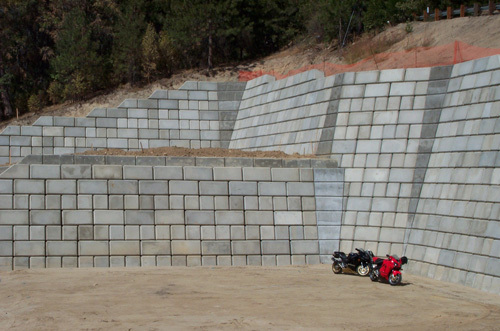 Segmental retaining walls are considered flexible structures. 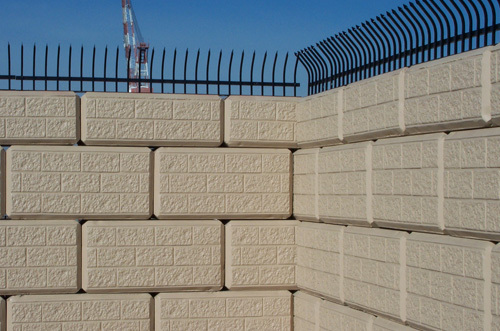 SRW blocks are manufactured in conformance with industry standards and specifications to assure that units delivered to a project are uniform in weight, dimensional tolerances, strength, and durability—features not necessarily provided in site cast materials. For a product brochure, video or to schedule a presentation, please contact us. Block rentals now available for securing event tent structures such as, counterweights, ballasts, anchor weights and deadmen. 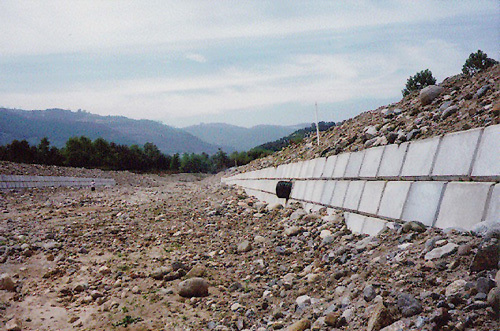 © 1993 - 2019 inter-Block Retaining Systems Inc.